Investors opening their year-end portfolio statements may be in for a shock if they haven’t been following the markets lately – especially if they haven’t heard from their advisors. The S&P/TSX Composite Index was down by 12 per cent in 2018, the Dow Jones Industrial Average fell by 5.6 per cent and the S&P 500 index dropped by 6.2 per cent. Although each of these benchmark indexes bounced back in early 2019, last year’s losses are etched into year-end account statements for clients who have a meaningful exposure to equities. 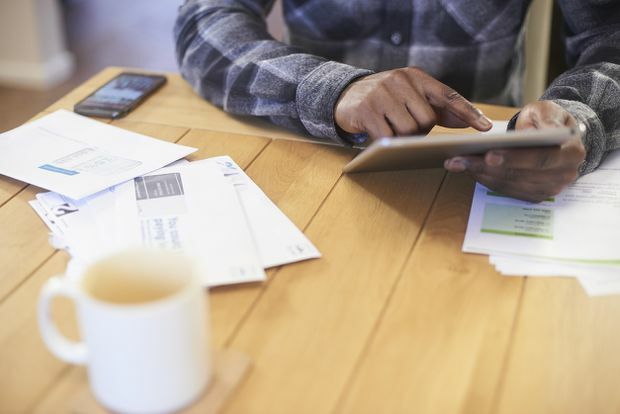 The downturn may be most shocking for some millennials, many of who are likely experiencing annual losses in their investments for the first time. Still, the volatility shouldn’t come as a surprise to investors who have proactive advisors. Good advisors have been communicating about the market turmoil with clients and have prepared them for what they’re seeing on their statements arriving at this time of year, says Norm Trainor, president and CEO of the Covenant Group in Toronto, which provides coaching to financial advisors on how to grow their business. Being proactive allows advisors to anticipate and respond to their clients’ concerns rather than react when clients’ may be stewing about poor performance. Clients who are upset by a market downturn are also more likely to focus on the fees they pay their advisors and question if they’re getting value for their money. Scott Plaskett, senior financial planner and CEO at Ironshield Financial Planning in Toronto, says the conversation about market volatility needs to happen when the advisor first meets the client – even if markets are soaring. “If [investors] are surprised now, they weren’t set up properly to begin with,” says Mr. Plaskett. Some investors still get stressed out when the market drops, even when an advisor prepares them. Mr. Plaskett believes the reaction isn’t necessarily anger over the markets being down, but a lack of clarity about why. He argues the reaction is different for people who have an investment plan compared with those who just buy investments without a financial road map. In Mr. Plaskett’s experience, some millennials aren’t as concerned about the latest market drop because they have money in the market and understand they have a longer time horizon. “There is a perception that, ‘I’m not done buying yet.’ Until you’re done buying, you don’t want the markets to continually go up,” he says. Mr. Trainor recalls a 30-something investor, a former associate, who put all of his money, $40,000, in the market with the help of an advisor in August, 1987. The market dropped by 23 per cent on Oct. 19, 1987. On the following day, his portfolio was down by 45 per cent, with a value of about $22,000. Mr. Trainor says that man – no longer a colleague but still a friend – has done very well in the market. Rosemary Horwood, an investment advisor with Toronto-based Rosemary Horwood Wealth, a division of Richardson GMP Ltd., says many of her clients have experience with market volatility, including during the 2008-09 global financial crisis. Ms. Horwood says she reminds clients that markets will be volatile, but that downturns like the one that took place in late 2018 are just one point in time over a much longer investment period. She also reminds them that downturns can also present good buying opportunities.